Our third pillar is our Team and the flow that can be generated when the right people come together for the right reasons. Customer churn and dissatisfaction taught us a lot about big pivots that we needed to make in our early years as a company. My inability to keep a stable team together taught me even more. 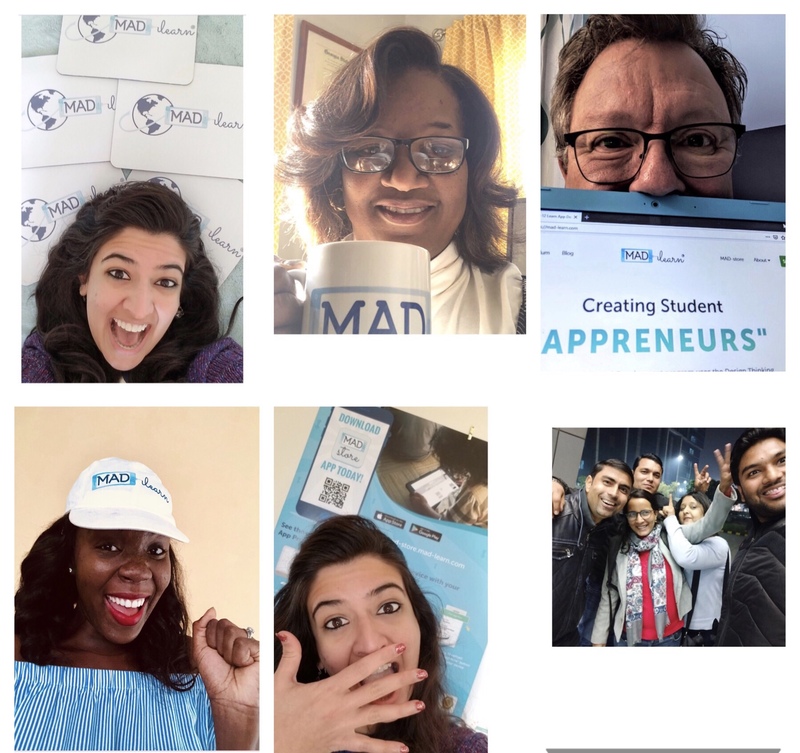 For those of you who have known and worked with MAD-learn since our inception, you will remember the first few years where it seemed like you were talking to a new team member every time you called MAD-learn. We had a phase of what I would call a “team exodus”. We upsized, downsized, and finally rightsized our team. And it was tough. In our early years, we were right on the heels of raising our first round of investment, wanting and needing to hire more team members to help us expand our footprint into more classrooms and support these new schools well to enable success. As a result, I hired too many, too fast. And for a period of about a year and a half, I felt like our team was seeing new team members come and go every other month. It wasn’t until our VP of Sales, Kimberley Bynoe suggested that we read “The 5 Dysfunctions of a Team” together that things really started to change. Team members identified for themselves who they were most like. Some left because they didn’t want to deal with changing. Others stayed and realized what it was going to take to work TOGETHER with a common goal of moving forward and having strong student impact. Most importantly, I changed my leadership style and have been very intentional about continuing to develop and better it. Find and build relationships with team members who care about the mission of the company, along with their job. Gregg Stone, our Director of Curriculum and Instruction, for example, has been with me since before Day 1 of MAD-learn. He was a history teacher turned middle school administrator who had the passion and desire to have kids learn in new ways. I happened to come across his profile on Linkedin. We connected. And five years into working together, it’s clear that it didn’t matter where he was geographically (MAD-learn was based in Atlanta at the time where I lived, and he was based in Pittsburgh, PA). Skill can be taught. Inner flame and burning desire to make an impact and change something cannot. Provide the freedom of thought, expression, work style, and timelines that everyone needs to show their best and shine. Doreen Bandua, our Marketing Coordinator and Project Manager, for example, recently moved back to her hometown in Ghana and the global and geographically dispersed nature of our company has allowed for her to work effectively from back home. Sure, there will always be a few folks who take advantage of freedom and misuse that. But they don’t belong on my team anyway. Cater to and create culture around the best in people, not the worst. Everyone on our team knows that they can and should take personal time off whenever they want to and work from home when they need to, as long as goals are being met and the rest of the team is set up for success while they are gone. Always focus on and empower collective thought, feedback, input, and expression. It takes longer. But the results outweigh the time spend by a factor of 1000. I can often figure out how to do something myself and do it fairly quickly. Just because I think something should be done in a certain way, that doesn’t mean that it’s the right way, or the best way. But if I can get the team to come up with more solutions than I ever could, pick the best one factoring input from a variety of sources, and execute it collectively, we will build a team that is proud of its company, and build a company that never stops serving its students. Our product development team Ashutosh, Bhupendra, Lokendra, Rani, and Kavita have done a phenomenal job figuring out how to bring all of our ideas together into what is best for our teachers and students, at every step of the way. Hire people who can identify problems that you don’t even know exist, not just people who can help solve problems you already know need to be solved. With it, we have been able to move mountains, in very short spans of time. Without it, we faltered, spun unnecessary cycles, and moved very little. Even in just the last few months, our team has gotten to a place where we truly know and understand each other in a way that greatly helps us be productive together. Our team is absolutely one of the biggest and most instrumental pillars of our company. It is critical to remember and remind myself that attaining Team Sync is not a one and done job – it is something that requires constant attention and deliberate, conscious, intentional effort in prioritizing that for overall success. People will come and go, but Team Sync must always be created and re-created for the organization to remain effective. Stay tuned for Pillar 4. MAD-news for March: Science Rocks Pinellas!